Rae Marshall is the unit educator for preop, PACU, and the GI lab at Porter. 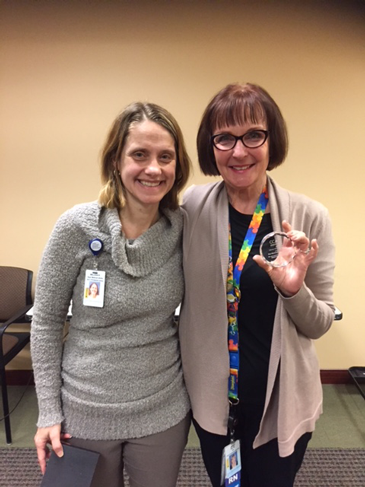 Rae Marshall, (right in photo) Pre-Op/PACU Educator, received the 2018 Library Champion Award presented by CCML. 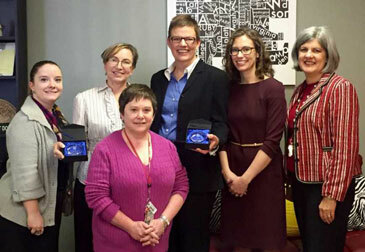 She was nominated by Melissa Kovac, (left on photo) Medical Librarian at Porter Adventist Hospital. Rae is a wonderful advocate and supporter of our medical librarian and a champion of knowledge. Congratulations Rae!